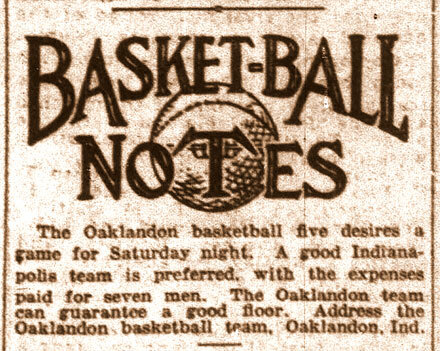 The Oaklandon basketball five desires a game for Saturday night. A good Indianapolis team is preferred. With the expenses paid for seven men. The Oaklandon team can guarantee a good floor. Address the Oaklandon basketball team, Oaklandon, Ind.